A blog about cryptozoology, comics, cinema, cult TV and other stuff beginning with the letter 'c' that I haven't thought of yet. 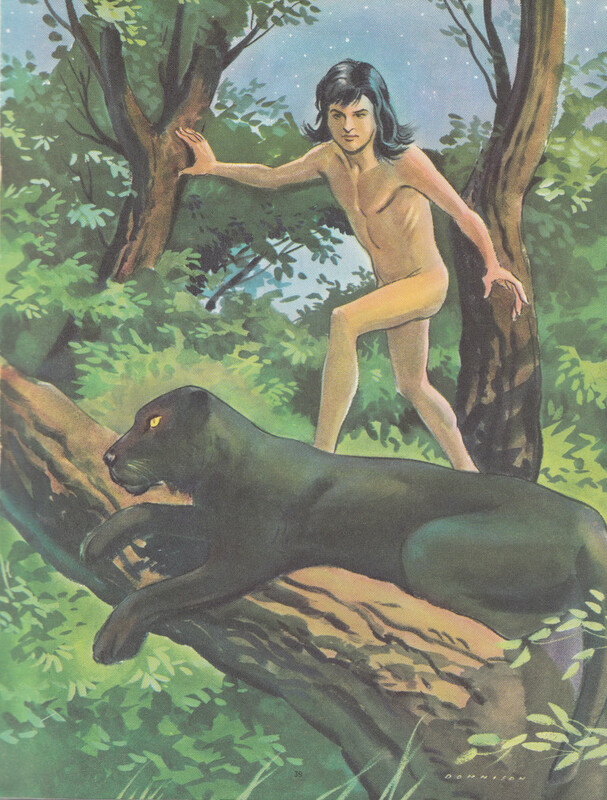 And here from the Stranger than People annual is the illustration of Jungle Book's Mowgli used in the section on children raised by animals. Although, I, of course, saw Disney's Jungle Book as a child at the cinema but I recall an afternoon with inclement weather...the horse racing was rained off and the announcer on my local ITV station stated that there would now be a clip from Jungle Book...well, this was in the days when they just didn't show that much Disney on television - there were Bank Holiday specials...there was "The Wonderful World of Disney" on BBC - which often seemed to be nature type footage - but whole Disney movies were seldom, if ever, shown. So a clip of Jungle Book already had my attention; but this was the clip that wouldn't quit...plainly they didn't start at the beginning of the movie, but 40 odd minutes later the clip was still going strong. I'm conscious too that in the days before VHS kids watched TV in a completely different way. With no way to play something again you really had to pay attention. You might not see it again for months or even years in the case of a film. Martin Gately lives in a dilapidated Victorian mansion with a view of a former insane asylum. He is married with two extraordinarily noisy children. He's gearing up to be just as successful as Dan Brown.